Great Tibet Tours include Tibetan tour guides, reliable and quality service, and excellent travel advisors. Here Tibet Travel Expert can meet all you want for your own Tibet tour. Since we have operated in Lhasa for over 14 years, we know Tibet more than anyone else. 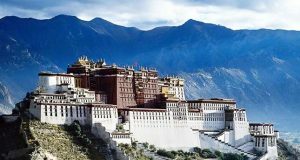 Therefore, through careful design, here we provide you with most reasonable Tibet travel itineraries and all highlighted attractions in Tibet. So You will have a wonderful travel experience with us! 3 Nights 4 Days Lhasa Group Tour include all you need to see in Lhasa. So all you need to do is to join our group tours and our tour guide and safe drive can guarantee an amazing trip for you. After you first arrival day in Lhasa, we will begin the tour on the second day. On the second day, we will see Potala Palace, Jokhang Temple and Barkhor Street. And your Tibetan guide will tell your related Buddhism stories while visiting. The third day we will go to Drepung Monastery and Sera Monastery. They are two of the Greatest Monasteries in Lhasa (the third one is Ganden Monastery). If you want more about Tibet besides Lhasa, then this 7 Nights 8 Days Everest Base Camp and Lhasa Group Tour are just for you! After spending two days in Lhasa visiting Potala Palace, Jokhang Temple, Barkhor Street, Drepung and Sera Monastery, we will head to EBC on the fourth day. After we arrive, the stunning view of Mt. Everest will astonish you and you will feel how small we are facing the magnificent nature. Moreover, when we drive back to Lhasa, we will see Karola Glacier and Lake Yamdrok. 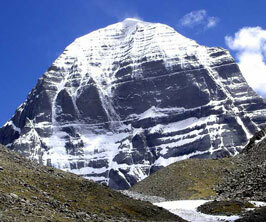 This 13 Nights 14 Days Kailash Everest Base Camp Group Tour can satisfy all you want for Tibet. After two days Lhasa tours, we will head to Kailash for the pilgrimage trek. Then we will stay for three days for the kora. 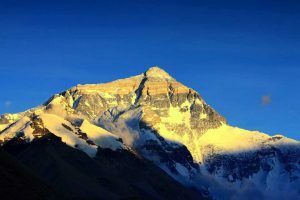 Then we will drive to Everest Base Camp to get a view of the world’s highest mountain. In addition, on our way back to Lhasa, we will visit Pelkhor Monastery in Gyantse and see Karola Glacier and Lake Yamdrok from Gyantse to Lhasa. 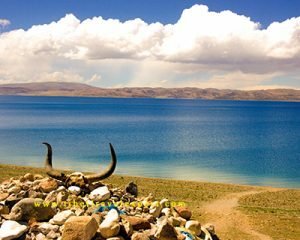 If you want more peaceful landscape near Lhasa, 1 Day Namtso Lake Budget Tour is there for you! We will drive about 250km for 4 hours to get to Namtso Lake. Then you can see the crystal blue water with surrounding Nyenchen Thanglha. Also, there are yaks and tents from nomads. 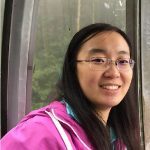 So you can take many beautiful photos and enjoy the leisure time.